Hello Android users, do you know right now there's a new software called wine 3.0? What's the meaning and the usefulness of wine 3.0? 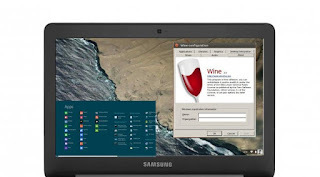 Wine 3.0 is a new software which transformed android interface to windows and it also helps users to easily run windows apps, games on their devices. Wine 3.0 is a little unstable. It seems to run best on newer devices, but it may crash older phones or tablets. It also runs everything in full screen, so don’t think you’ll be running two programs side-by-side like you would on an actual PC. 1.In order to install wine on your device, you need to download wine 3.0 by clicking here user needs to download wine 3.0 arm or wine 3.0-x86. 2.Once download completed, quickly install the app, Once installed users will get full-screen windows display with a start menu and support for audio and basic graphics.